Summer is winding down and kids across the country are heading back to school. Maybe you live in a warmer climate where you can swim year round or maybe you are in an area like me and you have only a few weeks left of pool time. 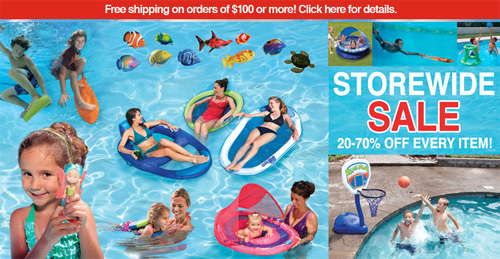 Either way, you can stock up on some great SwimWays gear and toys at their end of summer sale! All items in their online store are 20% to 70% off. That includes pool toys, pool games, pool floats, pool decorations, swim training gear and more! 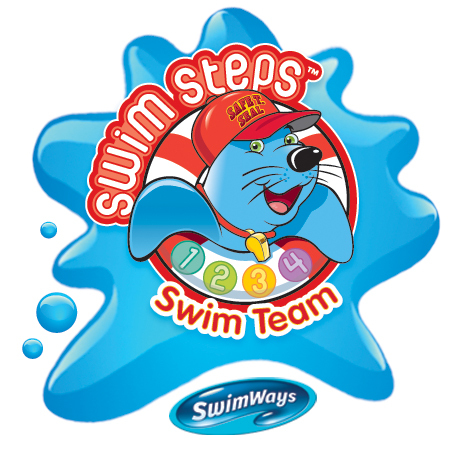 Maybe next year you think your little swimmer will move up to Swim Steps 3 - well you can buy the Swim Vest for $24.95 and be ready to go when the warm weather hits in 2012. Want to grab some fun pool toys for the kids to play with? My boys love the Rainbow Reef Fish and there is also a Rainbow Reef Turtle. There are also plenty of underwater diving toys and hoops for the more advanced swimmers. The SwimWays End of Summer Sale is running from August 20 through September 5 so be sure to head over their soon and check it out. Spend $100 and you will also receive free shipping. 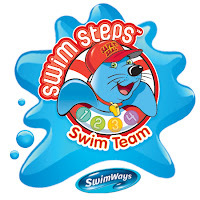 As a Swim Team Ambassador, I received free products for my family to use this summer. The opinions and views expressed in this post are my own.